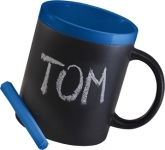 Chalk mugs are unique, in that you can write a message on them with a piece of chalk. 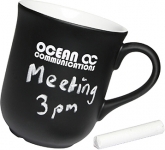 These fun chalk mugs have a dark-coloured area on the outside on which messages can be written, giving them a creative edge over other types of promo mugs. 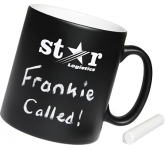 Apart from this, though, drinking mugs - chalk or otherwise - are not to be taken lightly as publicity gifts to advance a business. They enjoy massive sales, as well as mass appeal when used as promotional giveaways. 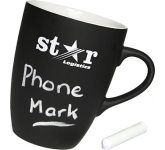 Chalk mugs used by companies to advance their business by imprinting their name, logo or marketing message, and then distributing them as gifts, get popular reception, because mugs serve a distinct purpose and are in general use at home, at work and in a variety of other places. 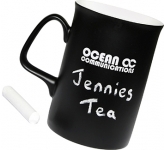 Companies also like to use mugs as promotional tools because, besides the guaranteed reception, by which their branded mugs will not land in drawers just to collect dust, their name and logo imprinted on them are highly visible to the recipients and other people around, and this display reminds them all of the promoting companies presence. 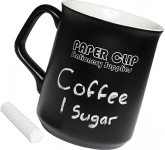 Since chalk mugs are durable, this exposure is sure to be long-term. 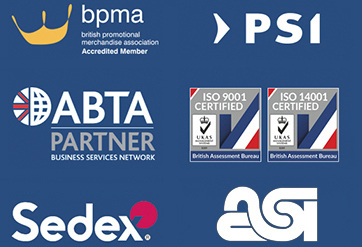 Available in a range of sizes, shapes and designs, which is helpful to a promoting company in choosing the types suitable to their different target markets. Having a price tags generally at an affordable level, which is cost-effective for any organisation to launch large-scale promo drives. Putting all these wonderful advantages together, they can be instrumental in broadcasting a brand name extensively to boost sales, strengthening performance in the marketplace or rewarding long-time clients and employees.